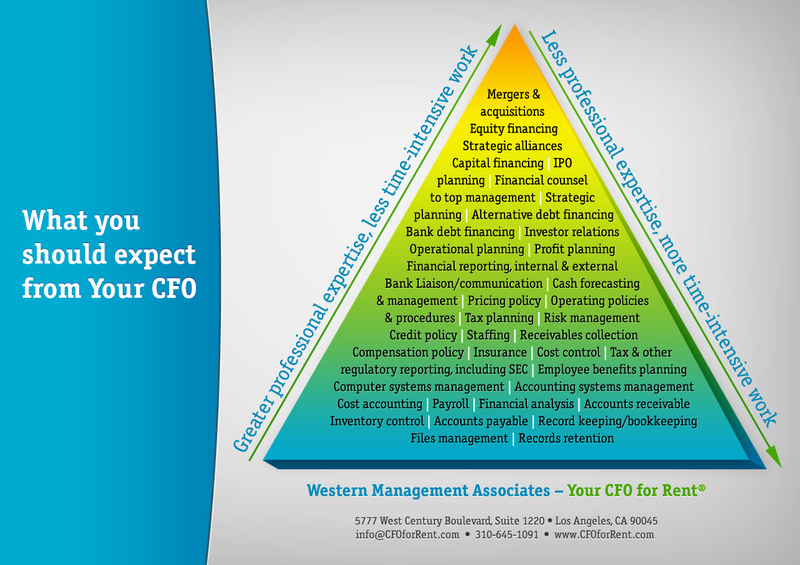 This image helps us determine the challenges that CEOs are experiencing in their finance/accounting departments. The higher the identified need on the chart, the greater the challenge and the greater the expertise needed to fix it. We are ready and able to resolve those issues for you. For a few weeks, a few months, or a few years. Contact us for your Financial Assessment today!